Pictures don't do this custom luxury home any justice at all! You will not be disappointed by this home! 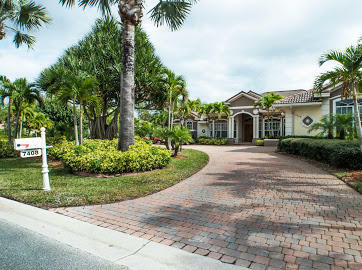 Nestled in the enclave at pga village is this magnificent 5 bedroom 5. 5 bath courtyard style home. Enjoy high ceilings, marble floors, open floor plan and high end finishings. Master bathroom was completely renovated featuring a new vibra acoustic kohler bathtub with bluetooth capabilities, underwater lighting with bubble jets that function in zones. Control 4 smart home capabilities, culligan water treatment system throughout the entire house and a steam shower in master. The courtyard is an absolute oasis with a covered patio, pool with led programmable changing lights and a summer kitchen. This one is a must see so schedule a private showing today! 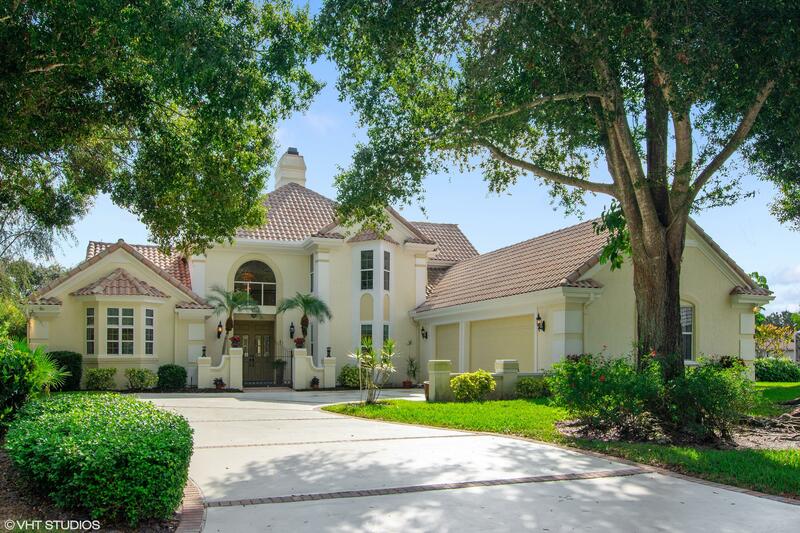 Absolutely stunning re-done beautiful home in sabal creek in pga village on 1. 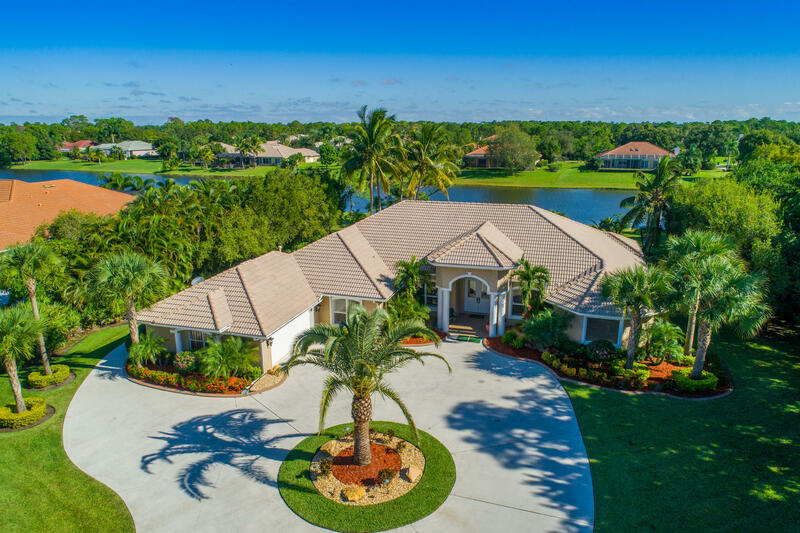 39 acre estate lot with lake view. This cbs, barrel tile roof, circular concrete driveway starts with new landscaping, exterior lighting & great curb appeal. Features 5 br's, 4 full ba's, 3 car garage with 2 cg side load & other door left side of house perfect for the golf cart. Enter into magnificent new porcelain tile flooring, volume ceilings, design colors, custom window treatments, gorgeous lighting, fireplace, decorative moldings & finishing details. Gourmet eat in kitchen offers 42'' new white wood cabinet doors, carrera quartz counter tops, large island, new upgraded hood, tile back splash, butlers pantry, pantry in kitchen & walk in pantry down hallway. Over $100,000 in improvements! See remarks! 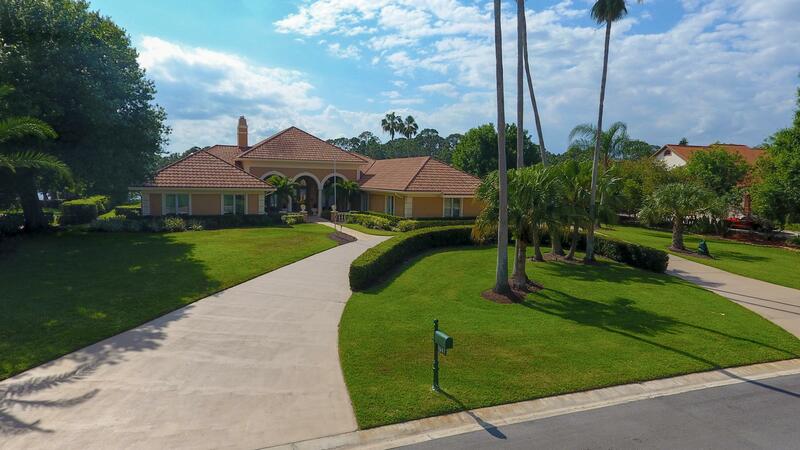 Exceptional lake view pool home on almost 1 acre estate property in reserve plantation at pga village. Features cbs construction, s tile roof 2007), concrete circle & side load garage with spanish flair! Hosts 4 bedrooms, 4. 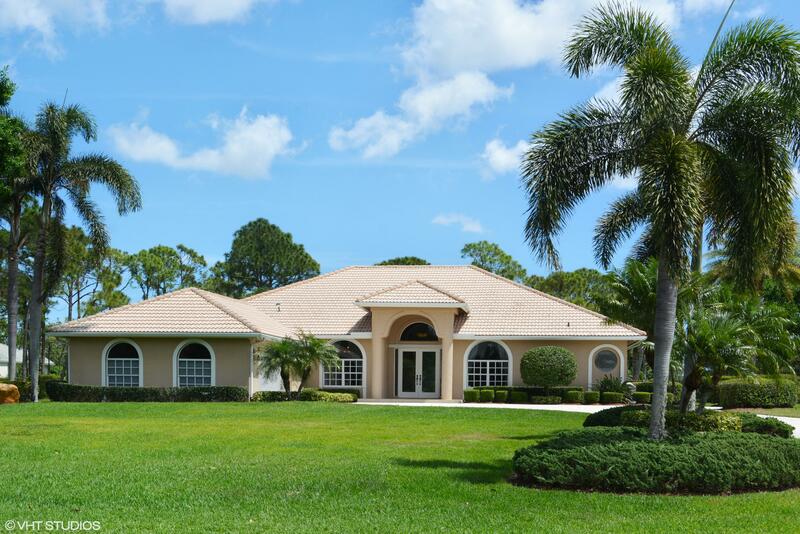 5 baths & 3 car garage with room for golf cart & enclosed a/c gym. Grand entrance offers covered area, columns, french doors along front & back of home. Spacious living / dining w/ wood burning fireplace. Gourmet eat in kitchen boasts lg breakfast bar, desk, walk in pantry, stainless steel appliances including viking gas range, double oven, warming draw, center island & plenty of cabinet space. Grand master include wet bar, sitting area, 3 walk in closets & lg. M bath. Wonderful outside covered patio, cabana bath & gas heated pool/spa overlooking tranquil lake setting. Beautiful, one of a kind, contemporary home in pga. 6 bedrooms, 6 and half baths plus den with travertine and wood floors throughout. 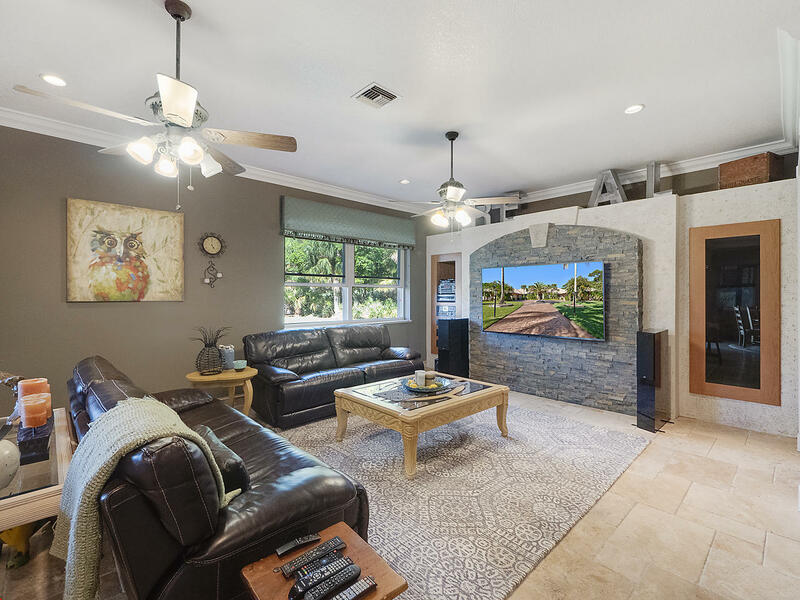 12 foot ceilings, crown moldings, new light fixtures and ceiling fans, central vac, skylights throughout, 42 inch kitchen cabinets with oversized island, double ovens, new built in refrigerator. Home has impact windows throughout, over $21,000. Motorized shutters in rear patio. Oversized enclosed pool with spa and travertine pavers. 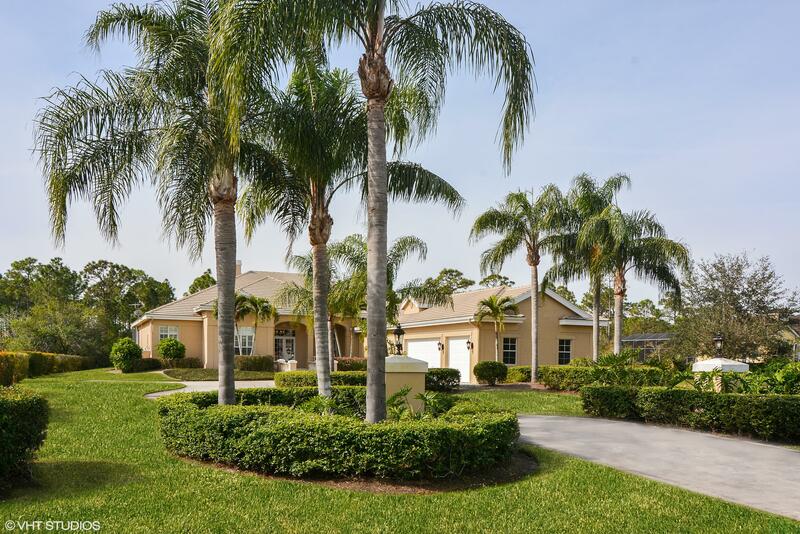 Large circular driveway surrounded by palm trees, 3-car garage. Gated community with 24 hr. Security guards. Private club house with many amenities. Hoa fees only $176/month. All the restaurants and shopping one needs just outside the gate. Don't miss the opportunity to make this your dream home. Private cul-de-sac location on just under half acre lot. Unique custom 2-story home. Elegant winding staircase. Foyer, living room, formal dining room with marble floors. Renovated kitchen includes 7 foot quartz island counter top/cook top, new soft close cabinetry, walk in pantry, stainless steel appliances. Master bedroom suite on first floor with completely renovated bath, with quartz counters, over-sized jetted tub, steam walk-in shower & 2 walk-in closets. Upstairs offers two en-suite guest bedrooms, one with a balcony with stunning views. Floor to ceiling windows and french doors allows extensive views of the lake, and 1st & 9th holes of the legacy golf club. 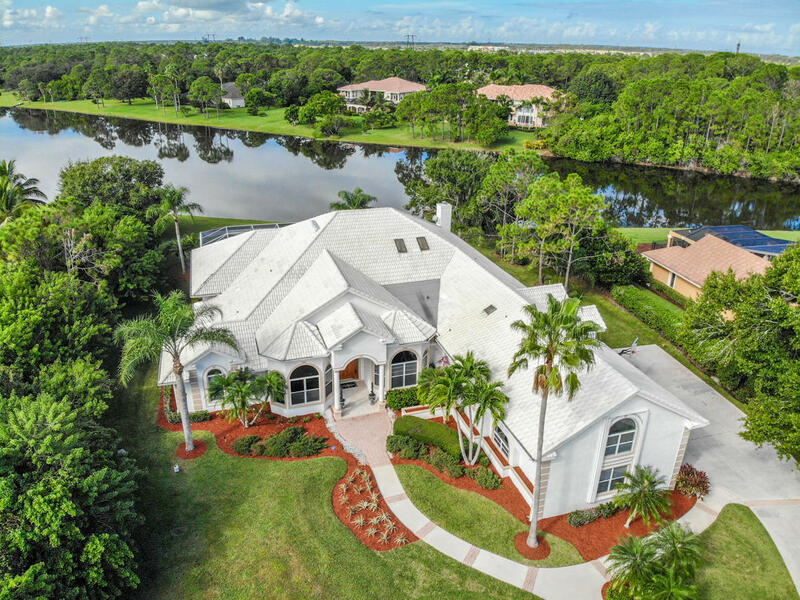 Luxury custom home with lake & golf views. 3 bedrooms, 2. 5 bath plus office/den. Marble floors throughout. Formal lvrm & dining. Kitchen: granite island, custom cabinetry, pantry, soft close drawers, pulls, under counter lighting, stainless steel appliances, gas 6 burner wolf stove & pot filler. Family room & breakfast area. Flagstone covered lanai has auto awnings, stunning views of pool, spa, fire pit, lake & golf course. Other features: cabana bath, large laundry room, epoxy floor air-conditioned 2 car plus separate golf cart entrance garage, generator, large water heater, bose surround sound speakers.